No lender ever enters into a corporate jet deal expecting it to go wrong. But in tough markets corporate jet financiers need to be prepared to manage default and in the worst cases enforcement and repossession. buy cheap VMware Fusion 7 Pro Lynda.com - Narrative Portraiture: On Location in Texas download Oliver Tebbit from Clyde & Co, outlines the key issues for lenders to consider. 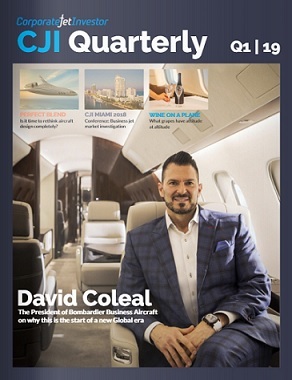 Global economic weakness has impacted negatively in most markets and the impact on the business jet market over recent months has been rapid and severe. In the United States it has become politically sensitive for large companies to own business jets, leading to numerous sales. 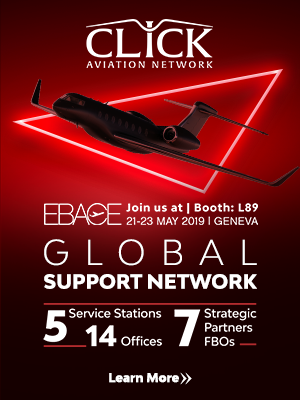 A sharp fall in oil and other commodity prices has also meant that owners in Eastern Europe and the Middle East, both regions which have been strong supporters of the recent growth of the business jet market, are currently re-assessing their needs and capacity. An analyst recently estimated that during November and December 2008 pricing of some new and used aircraft fell by over 25% due to a combination of over-supply and lack of demand. Payment default: A default of this nature will be immediately evident and the bank will typically have a right to call an event of default where a payment remains overdue for a certain period, typically three business days. However, the bank may, at least initially, choose not to call a default where there is a possibility that the debtor may be able to re-structure his various liabilities or realise other assets in order to meet overdue payments. Loan to value ratio: The rapid decline in the value of business jets has caused loan to value ratio provisions to be triggered, requiring a borrower or lessee to inject equity into a financing transaction. Given wider financial pressures and the general lack of equity in financial markets, borrowers and lessees are having difficulty in meeting such margin calls. Again, a breach of this nature will be easily recognised by a financing institution by reference to the Aircraft Bluebook (an industry source published by Price Digest and which publishes quarterly aircraft prices to reflect the current state of the second hand market) or such other sources to which a bank may refer in order to value its portfolio. (iv) the value of assets beneficially owned by a guarantor in certain jurisdictions (typically assets held in Western Europe and the U.S.). All of these requirements are likely to be coming under increasing pressure in the current economic climate and may trigger a breach of the requirements of the financing documents. The ability of financiers to spot breaches of these covenants will depend upon the quality of the financial information to which they are entitled to have access. As well as requiring obligors to provide annual accounts and statements, a well-advised financier will require the provision of “such financial information as the lender/lessor may from time to time reasonably require”, thus enabling the financier the flexibility to ask for information to be provided on an ad hoc basis and respond to specific, sometimes rapidly developing, situations in markets which are relevant to a beneficial owner’s business activities. It will almost always be preferable for a financier to seek to rely upon a breach of a specific financial covenant rather than to seek to argue that a material adverse change has occurred to the financial condition of an obligor, as the vagueness of a material adverse change clause will usually leave its effectiveness open to challenge. Further, if a specific breach cannot be identified the borrower / lessee might be able to argue that by terminating the financing the bank has breached the financing contract and is therefore liable to pay damages as a result. The occurrence of insolvency and insolvency related issues may trigger a default and this risk is clearly increased in difficult economic conditions. A default of this nature is more likely to occur to a corporate guarantor or other obligor, rather than the borrower or lessee which will typically be a special purpose company formed solely for the aircraft financing transaction. As with financial covenants, the quality of information available to the bank will affect the practical value of these provisions, and as the ‘obligors’ for whom an insolvency-type event would trigger a default in business jet financing transactions are usually private companies and private individuals, obtaining access to relevant information may present a challenge to the bank. Appropriate drafting can improve the bank’s access to information regarding an obligor’s solvency, but careful monitoring by the bank will also be necessary. Prohibitions relating to the creation of encumbrances over the aircraft (other than those created in favour of the bank) may be breached. For example, if fuel or maintenance costs are not paid, the unpaid supplier may seek to detain the aircraft or register a lien against the aircraft to force settlement of the outstanding debt. The availability of detention or lien registration will vary according to the state of registry and the lex situs of the aircraft and/or location of the supplier. If an operator or manager has been engaged to provide operational and management services to the borrower or lessee, payments due to such third party may be missed or late. In such circumstances the manager or operator would typically be required to give notice of such payment default to the bank. However, a bank’s access to up-to-date information regarding the existence of liens registered against an aircraft, or even of a detention, may be limited and there is a risk that such defaults may go unnoticed, at least initially. Notwithstanding that such defaults may arise without the financier’s knowledge, a third-party claimant’s rights against the aircraft will vary depending upon the jurisdiction and provided that the bank’s interests and security have been properly registered, the bank’s position as the priority creditor should be secure against all but a very limited number of creditors such as Eurocontrol or other official authorities. Registration, operation and maintenance covenants are more likely to be neglected if the borrower or lessee is under financial pressure and is seeking to save costs. If the borrower or lessee has engaged an operator or manager to meet the operational and maintenance standards required by the financing documents, the bank should have some protection against a breach of this nature as the responsibility ensuring compliance with the operational and maintenance provisions of the financing documents will be shared by the operator as well as the borrower / lessee. However, where an aircraft is operated by an ‘in house’ flight department, the risk that the requirements of the financing documents will be neglected is greater. Perhaps the most likely scenario for a breach would be where the aircraft in question was simply laid-up for a prolonged period to save costs. Most business jet financing documents will seek, in the absence of the bank’s express consent, to limit any non-operational period in order to ensure that if the aircraft were to be repossessed, it would not require extensive and expensive work to restore the aircraft to operational, and therefore readily saleable, condition. Further, if the maintenance of the aircraft were not kept current and up-to-date, there would be a risk that the regulations of the relevant aviation authority might be breached, thereby jeopardising the validity of the aircraft’s registration, and potentially raising issues of insurance coverage. The aircraft’s warranties may be invalidated if on-going maintenance requirements are overlooked or neglected, thus additionally diminishing the value of the asset and undermining the bank’s security. To alert itself to possible breaches of the operation and maintenance requirements, a financier’s best defence is likely to be through requiring a periodic statement of operations to be delivered to it, detailing the aircraft’s operations during the relevant period, as well as any repairs which have been necessary over that time. Nurturing contacts with any third-party organisation responsible for servicing and maintaining the aircraft (such as operators and managers), as well as fostering close relationships within the borrower/lessee organisation itself, will also be important. If the bank has cause to believe that an aircraft is not being maintained in accordance with the requirements of the financing documents, it should have a right to appoint a representative to carry out an inspection of the aircraft. The right of the financier to inspect the aircraft will usually be limited to being “at reasonable times, upon the giving of reasonable notice”, unless a default has happened, in which case the financier’s right to inspect the aircraft should be unqualified. The extent to which the financier is entitled to claim the costs of an inspection from the borrower/lessee will often be negotiated, but it is typically agreed that the borrower/lessee will pay for an annual inspection to be carried out at the instruction of the financier, and any inspection which is necessary to enable the financier to check that any breaches of the maintenance requirements discovered by an inspection have been rectified. The above list of ‘problem’ areas is by no means exhaustive and every financing document will include different covenants and events of default, but we have sought to highlight some of the covenants which are more likely to be problematic in the current economic climate. As well as monitoring any specific areas of concern relating to a business jet financing transaction, a bank will benefit if, from an early stage, it has an awareness of certain key practical issues which may have a bearing upon the options available to it in the event that it decides to accelerate a financing and seek to repossess an aircraft. Contingency planning should begin at the first sign that there may be difficulties in connection with a particular financing. It will usually be preferable to carry out as much contingency planning as possible without alerting the borrower or lessee to the fact that enforcement steps are being contemplated. Location of the aircraft: In the case of an actively operated business jet, anticipating the location of an aircraft is often difficult, certainly when compared with a commercially operated aircraft, as business jets are not typically operated to fixed schedules. However, a pattern of movements will usually be clear, and the bank will only need to follow the exact movements of an aircraft when it comes close to actual arrest. If the bank has contracted with a third party to have access to operational information relating to the aircraft (such as the manager or operator under a coordination or tri-party agreement), it should be able to obtain up-to-date tracking information relatively easily. Where no coordination agreement is in place EUROCONTROL Central Flow Management Unit should have current flight plans if the aircraft is flying within Europe and they may be willing to release details to a bank. Alternatively there are several companies which specialise in providing information in relation to aircraft movements. 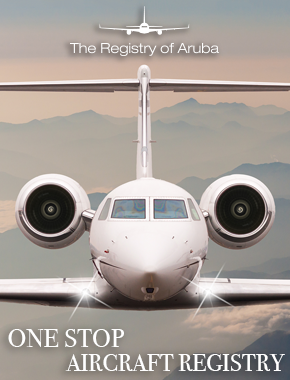 Registry search: A useful early step will be to obtain a copy of the current registry entry from the registry where the aircraft in question is registered. This will be required to demonstrate to any court the current owner and the bank’s priority interest, as well as to provide confirmation that there is no other interested party concerning the aircraft (or otherwise). Records: The maintenance and technical records of the aircraft will need to be repossessed by the financier as part of the ‘aircraft package’ as it will be difficult to realize the full value of the aircraft without these documents. It will therefore be important to ascertain where they are held as early in the process as possible. Again, it should assist if the aircraft has been operated by an independent third party operator. Condition of the aircraft: In anticipation of a potential re-possession, especially where there might be some doubt as to the quality of maintenance of the asset, it will usually be useful for the financier to require an inspection to be conducted in order to assess the physical and technical condition of the aircraft. This may have the added benefit of demonstrating to a borrower or lessee that the bank is taking a close interest in the aircraft and that any default or risk of default should be cured or dealt with. Insurance: It will be important to check the existing insurance policy both to ensure that the policy is still current (the broker should have alerted the financier if this had ceased to be the case, but it is worth checking in any event), and so that if the financier does end up re-possessing the aircraft, there will not be a delay in having insurance coverage in place which reflects the change of ownership or possession (and appropriate advice from insurance brokers should be sought in this respect). Following repossession, if the aircraft is to be left on the ground for an unknown period of time the bank may wish to change the level of insurance cover to ‘ground risks’ only in order to reduce the ongoing costs of insurance. Operation: Where a coordination agreement is in place a financier will be able to ask the operator or manager to move the aircraft to a convenient location where it can be stored pending arrangements for its sale. However, where an aircraft is operated by the borrower or lessee itself, the bank should engage an operator of its own so that as soon as the aircraft has been repossessed it can be moved at the bank’s instruction. Remarketing agent: If the bank is anticipating moving directly to a repossession and sale of the aircraft, contact with a sales broker who would be able to act as a remarketing agent will need to be made. The bank will wish to minimize the period between repossession and sale, so this step should be progressed as far as possible in advance of the repossession. As well as the practical issues outlined above, contingency planning in relation to legal issues will need to be carried out. In a sense, this process started when an appropriate security package was negotiated and agreed at the outset of the transaction, but the security package will have to be scrutinised and applied to the facts and circumstances. The first call should be to lawyers from the country of the main document’s governing law for advice in relation to the default itself and for guidance in relation to drafting default or termination notices. Check the documents: Relevant events of default and grace periods should be checked to ensure that recourse to the provisions upon which the financier seeks to rely has in fact arisen. The governing law and jurisdiction clauses need to be checked in the relevant transaction documents, especially in a loan financing where the mortgage may be governed by the law of the jurisdiction in which the aircraft is registered. Notices provisions, termination provisions and the process agent clause will also need to be checked and care must be taken to ensure strict compliance with all such requirements. Where the process agent for the borrower or lessee is a shell company amounting to no more than a nameplate address, there is a danger that since the time that the transaction closed, the process agent may have been liquidated, or the UK office closed. If this is the case it may be necessary to obtain permission to serve proceedings outside the jurisdiction and proceedings will be delayed. For this reason, it will usually be preferable to insist upon the appointment of a professional process agent. Obtain local law advice: Lawyers with appropriate experience should be appointed in the jurisdiction of registration and possibly in jurisdictions which the aircraft frequently visits (especially if the home base jurisdiction is considered unfavourable for repossession). The absence of a conflict of interest, or a potential conflict of interest, will be important to ascertain, especially as some beneficial owners are likely to be well connected with numerous and extensive business interests in their home jurisdictions. Advice in relation to relevant remedies (such as injunctions) should be sought, as well as possible defences which the owner or lessee may seek to argue. Some jurisdictions may require a bond or guarantee to be granted by the party seeking an injunction in order to guard against vexatious claims. The risk of other liens existing over an aircraft should be assessed as such liens may hinder the bank’s ability to exercise its security. The rights of financiers will vary from jurisdiction to jurisdiction, and a preferred jurisdiction for repossession should be identified; judicial repossession of the aircraft may be very difficult to achieve in some jurisdictions. Prepare draft notices / Court applications: As mentioned above, care must be taken that any notices or demands served under the finance and security documents are prepared and issued and professional advice should be sought in this regard. Court applications should be prepared in advance and, depending upon the jurisdiction where action is to be taken, translations of relevant documents may need to be available. If an application is to be made before the English Courts a barrister will usually be engaged to assist. iv) Any statutory liens or detention rights. In the UK statutory liens or detention rights will include detention and sale rights in favour of the CAA and Eurocontrol in respect of air navigation charges and airport authorities in relation to airport charges. If the aircraft has been actively operated Eurocontrol charges can accrue rapidly. Other similar liens may be relevant depending upon the jurisdiction in which the aircraft is located and local law advice will need to be sought. De-registration / export procedure: The procedure and paperwork required in order to facilitate the de-registration and export of the aircraft should be clarified in advance to ensure that the aircraft can be de-registered and exported as necessary. Personal guarantee: In a business jet financing the aircraft should be considered the bank’s main security and source of recovering any outstanding debt, and the financing documents may require all other security to be utilised before seeking to enforce a personal guarantee. A personal guarantee from a high net worth individual is often an important element of the security package. However, the importance of this document is, in practice, often diminished as a result of difficulties associated with enforcing the document, as well as the likelihood that assets beneficially owned by a guarantor which might be considered available to the bank will often be held in complex trust structures which will be difficult and expensive to unravel. In the context of a business jet financing, wider ‘relationship’ considerations will often have an important bearing on the bank’s preferred route following a default under a loan or lease document. It may be that the beneficial owner has other assets under management within the financier’s banking group, or there may be a corporate banking relationship between another arm of the bank and the beneficial owner which also needs to be taken into consideration. Accordingly negotiation may play an important role following a default. Such negotiations should be progressed ‘without prejudice’ to the bank’s legal rights to terminate the financing and repossess under the documents. If no solution can be agreed upon which enables the borrower / lessee to retain possession of the aircraft and it is clear that it has become difficult for lease or loan payments to be met, it may be possible to agree a friendly repossession of the aircraft at an agreed location and time. If the debtor is willing to cooperate with re-registration or redelivery process this will help to ensure that manuals and technical records are handed over in an orderly manner, whether by the operator or manager, or by the debtor himself. This will also enable significant cost savings to be made as the legal, procedural and operational expenses associated with a forced repossession can be considerable. Accordingly, a cooperative debtor is more likely to be able to preserve any equity which he has built up in an aircraft than if he were to refuse to cooperate. Except where a business jet is operated by a borrower or lessee’s own flight department, an operator or manager have been engaged to carry out all necessary operational tasks to facilitate the use of the aircraft. The bank should have, in such circumstances, obtained a useful additional protection by requiring the operator and the borrower / lessee to enter into a coordination agreement. The coordination agreement should require the operator or manager to provide information to the bank regarding the location of the aircraft and to comply with the bank’s instructions following an event of default, thereby enabling the bank to follow the movements of the aircraft and to relocate the aircraft in a favourable jurisdiction for repossession and facilitating the repossession process in general. The bank will agree to pay the operator’s / manager’s expenses and costs incurred in the course of complying with such instructions since where there has been an event of default it is likely that the borrower / lessee will be having difficulties meeting costs. However, the bank should resist any requirement to pay such costs to the operator / manager in advance because where the bank wishes to rely upon its rights under the coordination agreement, swift action will often be essential. Further, to ensure that this protection is available to the bank, it should not be possible for the operating agreement between the operator / manager and the borrower / lessee to be terminated without notice having been given to the bank so that the bank can ensure that other suitable arrangements are made. Also, the existence of the operating agreement will provide the bank with valuable comfort that the aircraft is being properly maintained. Where the borrower or lessee operates an aircraft through its own flight department, the bank will lack the involvement of a third party operator or manager to assist it. However, an internal flight department will usually rely on external service providers for some maintenance services, flight planning or weather information and such service providers will often agree to provide the bank with information and assistance both before and after an event of default so that the bank is at least able to locate the aircraft and obtain other useful operational information. Where, following a default, the bank considers that it will not be possible to agree an amicable solution and that the aircraft will have to be repossessed, the options available will vary depending upon whether the relevant aircraft financing is a lease or a loan financing. If the aircraft is financed under a lease, the bank’s position will, in some respects, be stronger. Title to the aircraft will already be vested with the bank, and therefore the bank may, at least in theory, sell the aircraft both prior to or after repossession. A share charge may have been granted in favour of the bank, thereby giving the bank the option of taking possession of the borrower or lessee company itself. This may give the bank additional flexibility, but the procedure for enforcing a share charge may be slow and the bank will still need to physically locate and take possession of the aircraft so that it can deliver it to a buyer. Accordingly, if the debtor refuses to cooperate, many of the same challenges will arise whether in the context of a leased aircraft owned by the lessor, or a mortgaged aircraft owned by the borrower and mortgaged in favour of the lender. In some jurisdictions self-help remedies would constitute unlawful interference with property and judicial involvement is required before any steps can be taken. Even where self-help remedies are an option, it may be advisable to obtain a judicial order restraining the aircraft from leaving the jurisdiction to guard against the risk of later claims of unlawful interference from the borrower or lessee. A judicial order will also assist in demonstrating to any third party, such as airport authorities, an operator or manager, that the bank’s right to seize the aircraft has arisen. An application for a restraining order made before English Courts must be made in the context of other proceedings brought for foreclosure or for the exercise of other rights requiring possession and will not be granted as a stand-alone remedy. An application for an interim restraining order may show that there is a risk of dissipation of the asset by the lessee / borrower, i.e. that the lessee / borrower is likely to evade enforcement if a court order is not granted. The bank’s application to the Court will need to be made in conjunction with a Claim Form seeking foreclosure. If this has not yet been served (to avoid alerting the debtor to proceedings) the Court will grant an order only against an undertaking from the bank to serve the Claim Form forthwith. Further, the Court may require the bank to give an undertaking in respect of damages caused by the bank’s injunction should the injunction subsequently be found to have been granted without sufficient cause. An injunction will normally only be granted for a limited period of time, and should therefore be obtained only when the aircraft is known to be in England, or it is likely that the aircraft will be travelling to the jurisdiction. An interim restraining order may be obtained swiftly in the English Courts. Provided that the bank can demonstrate that the risk of dissipation is imminent, an interim order may be obtained within 24 hours or less, assuming the evidence is ready. An interim restraining order relating to an aircraft is an order which prevents the owner or operator of the aircraft in question dealing with the asset or allowing such dealings (it does not grant a right in rem, unlike an order for the arrest of a ship). In practice the bank or its agents will serve the Court order on the relevant airport authorities and air traffic control, thereby putting them on notice that the aircraft is subject to a court injunction and may not be moved without the bank’s consent. The crew of the aircraft, the borrower or lessee and any other relevant parties will also immediately be given notice of the Court order in accordance with the provisions of the relevant finance documents. If the finance documentation is subject to English law, a worldwide freezing order may be obtained from the English Courts over an aircraft registered and located outside the jurisdiction. The weight which such an order carries will vary depending upon the jurisdiction where the relevant asset is located, but failure to comply with a Court order will place the debtor (and potentially other security providers such as a personal or corporate guarantor) in contempt of the English Courts. A freezing order does not confer any proprietary interest in the asset in question, but it does prevent the removal and dissipation of that asset. Accordingly, if a guarantor of a business jet financing has business interests or assets in the UK or another favourable jurisdiction a freezing order can be an attractive option where the aircraft is registered and/or located in a less uncooperative or slower jurisdiction. Once an injunction has been secured, or where a Claim Form is served without an injunction, a claim can be progressed quickly in the English Courts under a streamlined procedure provided that there is little scope for the debtor to dispute the debt. Depending upon the Court’s schedule, there is a good prospect of having a claim decided within two months of the Claim Form having been served. Where an aircraft has been repossessed the bank will need to consider the most efficient way of disposing of the asset. An aircraft mortgage will typically include a power of sale, and if the repossession has been ‘friendly’ the bank may be able to effect a private sale of the aircraft. In most jurisdictions it will usually be advisable to obtain the sanction of a court to sell the aircraft to prevent the risk of challenge to the mortgagee’s right to sell the aircraft by holders of other claims against the aircraft or by the borrower. Often a bank will appoint a Receiver to handle the disposal and the Receiver will typically be appointed through the relevant courts. Obtaining a court judgment against the borrower for the outstanding debt will entitle a bank to issue a claim for enforcement of the judgment debt, thus enabling assets to be seized and sold to satisfy the debt. Under English law a mortgagee owes a borrower certain duties to ensure that the best price at the time that the sale is made is achieved and to maximise the likelihood of a surplus once the mortgagee has been repaid the loan and all other expenses and costs have been met. Such duties include publicising the sale or any intended auction of the aircraft in aviation publications and the press. While a bank has a duty to take reasonable precautions to obtain the best price for an aircraft, this duty would not require a bank to delay a sale on the basis that the market was at a historically low level and might be expected to improve over time. A bank selling a repossessed aircraft will not be willing to give the usual title warranties and this may affect the resale value of the aircraft. However, where a Receiver has been appointed by the bank to handle the sale, the Receiver may, acting as the agent of a borrower, be able to give such title warranties. Otherwise, where a share charge has been taken the bank may be able to enforce this and have the borrower / lessee give title warranties (if warranties are required by the buyer), but given that the borrower / lessee will be an empty shell company, such title warranties will be of no useful value to the buyer. In order to market and sell the aircraft, the bank will often wish to export the aircraft and reregister it in a different jurisdiction vesting title in itself or in a related entity. Each jurisdiction and aircraft registry will have different rules and regulations regarding the procedure and documentary requirements for de-registration and local law advice will need to be taken at the outset of a financing transaction to ensure that appropriate documentation is obtained to put the bank in the strongest possible position were the need for repossession to arise. An irrevocable power of attorney is usually obtained from the borrower or lessee authorising the bank to de-register the aircraft, although in some jurisdictions a borrower would be able to cancel an ‘irrevocable’ power of attorney, thus negating the value of this security. Some aircraft registries will agree to grant a letter of undertaking, under which the registry agrees to cooperate with the bank in connection with the de-registration of the aircraft, and to notify the bank prior to allowing the borrower to de-register the aircraft. Further, the registry will agree to notify any interested party of the bank’s interest in the aircraft. Although such letters will provide some comfort to a bank, it is important to be aware that an aircraft registry, as an official government entity, would be entitled to claim sovereign immunity and accordingly the ability of a bank to enforce the terms of such a letter may, in practice, be restricted. The bank’s position in respect of enforcing its security may be improved where one of the international conventions regarding the recognition of security interests in aircraft applies. Geneva Convention: The Convention on the International Recognition of Rights in Aircraft, signed at Geneva on 19 June 1948, known as the “Geneva Convention”, provides that contracting states will automatically recognise property rights in an aircraft (including mortgages), provided that such rights have been constituted in accordance with the law of the contracting state in which the aircraft is registered. Cape Town Convention: The Convention on International Interests in Mobile Equipment and Protocol Matters Specific to Aircraft Equipment (the “Cape Town Convention”) were formulated in Cape Town, South Africa on November 16 2001 with the objective of giving financiers of mobile equipment greater confidence in the efficacy of their rights by establishing a uniform international legal framework relating to the creation, priority and enforcement of security interests and other rights. The number of states which have ratified and implemented the Cape Town Convention is steadily increasing and currently stands at around thirty. If a debtor is located in a contracting state or if the jurisdiction in which an aircraft is registered has ratified the Cape Town Convention, the bank will be able to register its interest in an aircraft, whether as an owner / lessor or chargee / mortgagee. iii) The right to procure the de-registration, export and physical transfer of the aircraft from the jurisdiction in which it is cited. In addition, a standard form ‘irrevocable de-registration and export request authorisation’ (‘IDERA’) should be available to the bank where an aircraft is registered in a jurisdiction which has ratified the Cape Town Convention, thereby eliminating the potential uncertainties relating to a de-registration power of attorney. Clyde & Co has prepared extensive briefing notes in relation to the Cape Town Convention which are available on request.